It is one of the ironies of medicine that radiation, as in x-rays, CT scans, radiation therapy and nuclear medicine can cause cancer yet can be used to detect and treat cancer. Perhaps because of this irony, most of us know very little about radiation dangers. Often we simply trust our doctors and care-givers to do what is right. In the majority of cases this mutual trust system works well. But what happens when the system fails? A recent study suggests that 15,000 people are projected to die within the coming years from the radiation they received from x-ray procedures! How can we protect ourselves? Last year 3000 patients were treated for serious radiation burns at a wound care facility. 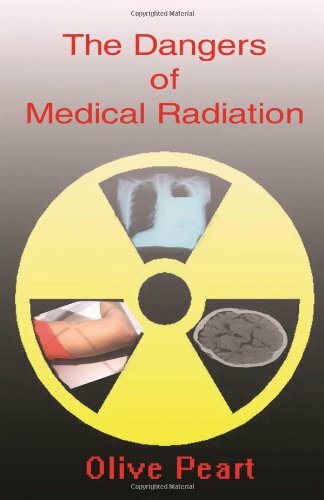 Read how to protect yourself from medical radiation! 5/20/2011 Olive Peart said: Read about the dangers and learn how to protect yourselves from the misuse and overuse of x-ray procedures such as CT scans, fluoroscopy including heart angiograms, dental imaging, nuclear imaging and radiation therapy.